On her Saturday morning news show in mid- April 2014, Melissa Harris-Perry interviewed hip hop emcee Pharoahe Monch. During the interview, she asked him about the significance of his new album being titled P.T.S.D. (Post Traumatic Stress Disorder). He calmly replied that he wanted to be more transparent on this album and discuss his personal challenges with depression. 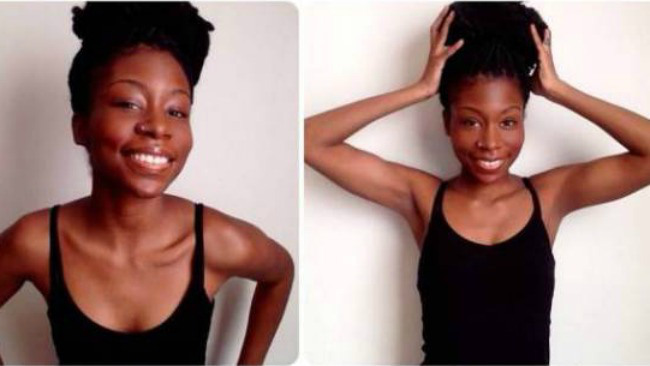 While watching this short but candid interview I was also skimming various online articles about beauty/lifestyle blogger and founder of FOR BROWN GIRLS, Karyn Washington, committing suicide. While the details vary (at least expressed through various media outlets) about the reasons the beautiful 22 year old committed suicide, my initial response was, what it always is when I learn someone – anyone – decides to take their own life, “why?”. This isn’t a question to judge or criticize with a “chile, please” side-eye. It’s more of a question that’s posed to understand the psychological, emotional, and/or spiritual rationale for the decision. It ponders whether or not it could have been prevented. It’s an inquisitive attempt to discern what seemingly unresolved inner struggles led to suicide as a final decision. It’s a “why” harboring great disdain toward a healthcare system in which African-Americans are disproportionately under served or denied access to quality mental health services. Of this striking statistic, black women specifically are drastically impacted. According to NAMI (National Alliance of Mental Health), “Many African American women do not seek treatment because it is viewed as a weakness and not a mental health problem. Only 12% of African American women seek help and/or treatment.” We have been conditioned to mask or suppress symptoms of depression, stress, anxiety, low self-esteem, etc. by hiding behind a face full of M.A.C., taking antidepressant pills, gulping down bottles of wine like Olivia Pope, or the other extreme, contemplating ending life altogether. This cyclone of thoughts swirled in my head for about 15 minutes. Then I went on a reflective journey examining my own battle with depression, as well as the need for even more transparency in my relationships and candor about discussing my mental health issues. I also considered all the black women in my family and intimate circle, as well as those whom I work with and others I may share an exchange or two with during the morning commute. We all attempt to bare the face of Ms. Got-my-stuff-together-and-I’m-in-control; yet many of us are visibly and quickly unraveling at the seams. Generally speaking, many black women are not communing with one another (or anyone else) to have truthful conversations about the daily pressures that plague us. I am a firm believer that every human emotion is governed by either fear or love. We can attach a myriad of adjectives to our emotions, but essentially they all trace back to fear or love. That said, how can black women begin to collectively conquer the fear of admitting to mental exhaustion or defeat in our lives? How do we begin to shatter the illusion of poker-faced perfection we’ve allowed to permeate our beings? How do we create the sacred spaces amongst ourselves, and if necessary, go back (one, two, or three generations) to our foremothers and examine the cyclical and recurring themes surrounding battles with mental health? Finally, how can we nurture and support one another in operating at our highest capacities within institutions that are mere microcosms of a larger culture that explicitly undermines and devalues our effort (to say the least) toward equal existence in every facet of our lives? I don’t have all the answers nor am I a mental healthcare professional by any stretch of the imagination. However, as a womyn that considers herself to be colossally self-aware and observant of other womyn around her, I very vividly witness my reflection all around me. Sisters, many of us are sharing a global experience. Let’s open our eyes, our hearts, our minds, and our mouths to vehemently discuss all that runs rampant in promoting constant turmoil and decay. We cannot and should not carry this burden alone. Let’s seek out the help, support, treatment, circles, resources etc. that we need to help us shift into the divine image and likeness we were created in. 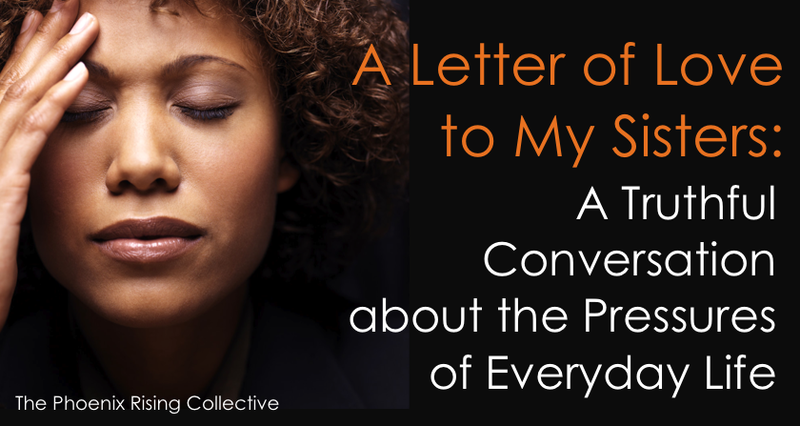 It has been one of my most intentional prayers that black women can embark on a new journey. And on this journey we learn the profound impact of initiating decisions that support us compassionately, intensely, fearlessly, unabashedly, and fully loving ourselves and one another. Divine Goddesses, we have the ability to be vulnerable and powerful at the same time. Categories: Self-Care + Personal Growth | Tags: black women and depression, For Brown Girls, health and wellness, karyn washington, mental health, self-acceptance, self-care, self-esteem, self-love, the phoenix rising collective, whole living, women and self-esteem, women and wellness | Permalink. It is viewed as a weakness for others who are not African American as well, I grew up in a household that propagated the notion that seeing someone about your problems not only weak and also a betrayal of your family. Guess what? You got it. I am sorry to hear of the passing of Karyn Washington. Your blog attracted my attention because I hoped P.T.S.D. was not glorifying or minimizing an all too common condition shared by people of diverse backgrounds yet who have similar life circumstances that lead to what psychiatric injuries, and it did not. It was a refreshing read and I hope Pharoahe Monch raises some awareness to contract the stigma that burdens people who are actually trying to help themselves.